The course is 100% online and you can start and stop the course as often as you want. Watch the video to learn more and register now! Or, you were ordered by a Court or the Florida DMV to take an Advanced Driver Improvement (ADI) course. Deltona, Florida is the largest city by population found in Volusia County. It provides a home to about 87,000 residents. The city is a part of the Deltona-Daytona Beach-Ormond Beach Metro area and found very close to Orlando. Volusia County has a population of nearly 500,000 residents and it includes parts of the St. Johns River and borders the Atlantic Ocean. The cities found within the county are very popular areas for tourists and new residents relocating from other states. Many visitors come to the Deltona area and Volusia County every year due to the warm temperatures and many popular events. This brings a large number of visiting drivers to the area making the roadways more dangerous than usual. Interstate 4 provides the main access point for Deltona and borders the city on the west. The I-4 stretch of highway found in Florida is known as the 3rd most deadly in the entire country based on fatal car accidents. From 2004 to 2008, this stretch of highway saw 209 fatalities. Volusia County has an average of 6,500 car accidents every year with about 700 involving alcohol. A large percentage of the accidents include injuries and more than 125 fatalities happen yearly in the county. Traffic crashes in both Deltona and Volusia County are on the rise. If law enforcement officials didn't monitor the roads and issues traffic citations, these numbers would be far worse. Over 37,000 traffic tickets were issued in the county for 2015. Out of all the tickets issued more than 13,000 were for drivers going over the posted speed limit and more than 4,000 were given to careless drivers. These were the most common offenses in the county and only 13% of the total tickets issued were dismissed. Your chances of getting a judge to dismiss your ticket are rather slim. Having your driver's license suspended is never fun. If you rack up enough traffic citations, you could lose your license in Deltona, Florida. Each traffic ticket has a point value assigned to it, which is added to your license. Just 12 points in 12 months will lead to a 30-day suspension, while 18 points in 18 months will lead to a 90-day suspension. If you happen to rack up 24 points in 36 months, you will have your driver's license suspended for an entire year. It's easy to see how quickly you may rack up the points. If you do end up with a suspended license and you get caught driving, you will face up to 90 days in jail and up to $500 in additional fines. On top of all this, every point on your license may cause your insurance rates go to up. Even just one violation could lead to a much larger insurance premium. Traffic school helps drivers avoid points on their license and higher insurance rates. It can be taken right online from your own home, at your convenience. All you have to do is pay the ticket, enroll in the basic driver improvement course, complete the course and turn in your certificate of completion to the clerk of the court. After turning in your certificate of completion, the points from your traffic violation will not go on your driver’s license and your insurance rates will not go up. 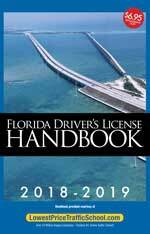 The State of Florida allows drivers to take the basic driver improvement course and avoid points on their license up to 5 times in a lifetime. However, you cannot use the course more than once every 12 months. If you're unsure of your eligibility, you can check with the clerk of the court before enrolling online. When you receive a traffic citation in Volusia County, the Clerk of the Court for the county will handle the payment and any information you need. It doesn't matter which branch of law enforcement issued the ticket. 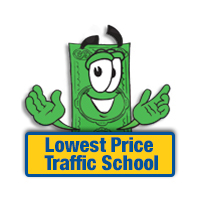 Make sure you inform the clerk, at the time of paying the ticket, if you wish to enroll in online traffic school. If you need more information about the Volusia County Clerk of the Court, you can find it on their website. Take Your Course Today and Get Your Certificate in Hours! Exclusive provider of the Official Florida Driver Handbook, 2003-2011. You can put your trust in us to provide a quality Driver's Ed course too!